WE ARE NOW OFFERING MERCHANT ADVANCES BASED ON YOUR BUSINESS, NOT YOU, PERSONALLY. ALL MEMBERS ARE PRE-APPROVED! THIS IS A MERCHANT ADVANCE NOT A LOAN, BASED ON YOUR BUSINESS. WE OFFER PROFESSIONAL SERVICE, A QUICK TURN AROUND FOR EACH MERCHANT, AND EXCELLENT TERMS. WHEN YOU QUALIFY AND AGREE TO THE TERMS, YOU GET $5,000.00 TO $150,00.00 IN YOUR CHECKING ACCOUNT WITH IN 3 TO 5 BUSINESS DAYS! YOU PAY IT BACK THROUGH A SMALL PERCENTAGE OF YOUR RECEIVABLES. HAVE YOU EVER BEEN TURNED DOWN FOR A LOAN? DO YOU NEED CASH IN YOUR BUSINESS FOR ANY REASON? DO YOU WANT TO PAY OFF CREDIT CARDS, OR DO YOU NEED TO PAY FOR BRACES FOR YOUR CHILD, OR TO TAKE THE LONG DESERVED VACATION OF YOUR DREAMS? DO YOU WANT TO EXPAND YOUR BUSINESS, OR ADD A FEW MORE TABLES, OR MAYBE GET THE LIGHTING YOU WANT FOR THAT NEW DRESSING ROOM? EASY APPLICATION! NO OBLIGATION TO APPLY! 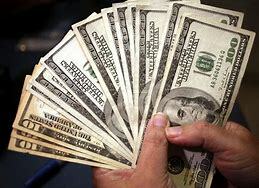 GET CASH THIS WEEK!! !